Watch the Full course here for FREE…CLICK BELOW. As to be expected with most techniques that golfer seek to develop, the art of the chip shot does not come in one size fits all. George Gankas golf philosophy has been pivotal in highlighting the fact that all players learn and develop their game differently, chipping being no exception to this truth. As the mastermind behind the GG Swing Method, George Gankas has inspired and educated an entire generation of golfers through his contributions to the golfing community. 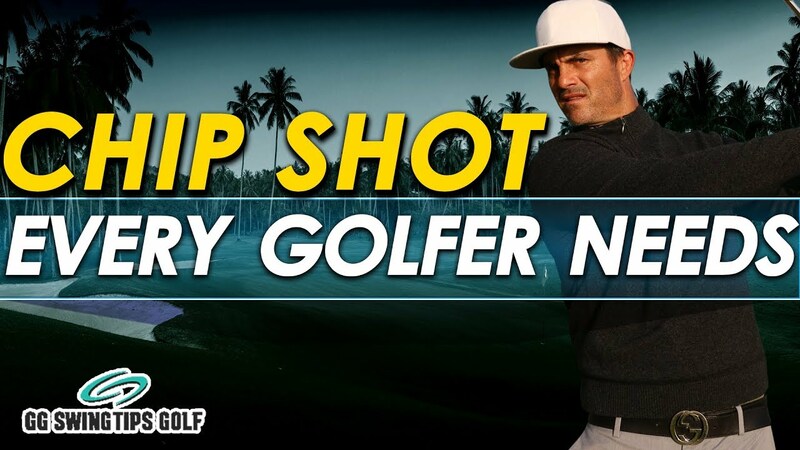 Gankas has been asked several times how to properly hold the golf club or take a swing stance in relation to chip shots, and his answer remains unchanged: whichever way works best for you. This response can be mind blowing to some novice golfers that assume there can be a magic answer for how to create amazing chip shots on the course, but in reality most golfers adapt proven strategies to their chipping, in a mix and match fashion until they find the formula that best suits their style of play. Many golf instructors are in agreement that a player’s grip leads as the most crucial element to any golf swing, though coaches like Gankas are beginning to challenge such deeply held views. Especially during short game play, the grip taken by the golfer should be far from their main concern and focus. Elements such as positioning of the golf ball, shot alignment, and overall swing stability out rank grip as being much higher on a golfer’s list of priorities during their short game work. Even golfers with unorthodox styles of grips still find success in their short game and chip shots, you can see them any weekend during the tour. As understood by most modern golfers active in the community, there cannot be a designated “proper” grip for any element of the sport, as so many players have found success with abstract, out of the box strategies that it would be impossible to rule any grip out at this point. What coaches like Gankas find to be most important manifests in a golfer’s ability to develop and maintain consistency with a set batch of grips that they’ve crafted specifically for different types of conditions on the golf course. Every golfer should have a short game grip, a driving distance grip, a speed grip and the absolute most important, putting grip. The important thing to remember while developing our short game grip comes from the fact that accuracy matters more than distance during this part of our golfing strategy. This truth leads many golfers to adapt a weaker, neutral style grip rather than placing the intense power into their grip that would deliver a less accurate, deeper driving shot. The most crucial step in a our chip shot golf swing setup requires the golfer to have a good idea of how far the golf ball will travel in flight rather than the eventual roll that follows. Obviously, the strategy for nearly every chip shot we take focuses on getting the golf ball onto the green, as close to the hole as possible to set up an easy putt shot. The most effective setup for chip shots typically begins with squaring the clubface to the target line.